Touchstone Health Services Prevention Program works through the various grant funded opportunities with a large focus on the Teen Pregnancy Prevention Program and Drug Education and Prevention Programs. Click any of the programs below to learn more about our Prevention Department. You may also take a look at our TPPP website by clicking HERE. Our TPPP program is funded by the Office of Adolescent Health, Department of Health and Human Services and addresses the growing need for awareness and education on teen pregnancy and sexually transmitted infections. TPPP’s goal is to reach over 2500 youth a year with an evidence-based teen pregnancy prevention curriculum. Our program services the Maryvale community of Phoenix and the cities of Tolleson, Avondale and facilitates the Community Alliance for Resources and Education (CARE) Coalition, a Community Advisory Board, to improve adolescent health in the West Valley, engage in a comprehensive community awareness campaign, and offer an evidence-based parenting program to serve parents of teenagers. We are subcontracted through Maricopa County’s Department of Public Health (MCDPH) to provide technical assistance on replicating and implementing teen pregnancy prevention evidence-based curriculum to community partners, we collaborate with MCDPH to build the capacity of community organizations and schools in the county to realize their own successful implementation and sustainability of teen pregnancy prevention programs. Our program is funded by the Substance Abuse and Mental Health Services Administration (SAMHSA), and designed to improve the quality of life for youth between the ages of 12 and 18 in the Southwest Valley of Metropolitan Phoenix, through the deployment of a core group of individuals trained in Youth Mental Health First Aid (YMHFA). YMHFA educates those who interact with youth on signs and symptoms of mental health problems, the importance of early intervention and how to help youth who are experiencing a mental health crisis. The goal is to train over 600 individuals in the community, schools and other providers in the service area to improve the mental health awareness and connection to resources in the community. Touchstone’s Healthy Relationships Program aims to reduce and prevent teen dating violence in the Avondale community by increasing awareness, providing education, and linking youth to resources. Under this grant, Touchstone implements an evidence-based program with individuals using the Safe Dates curriculum. Touchstone staff provides training for adults on warning signs and how to intervene with youth when necessary. We also disseminate educational media campaigns through the West Valley View, Facebook, Instagram, etc., that are aimed at both the Avondale community as well as other communities within the West Valley. This grant is funded by the City of Avondale Contributions Assistance Program. 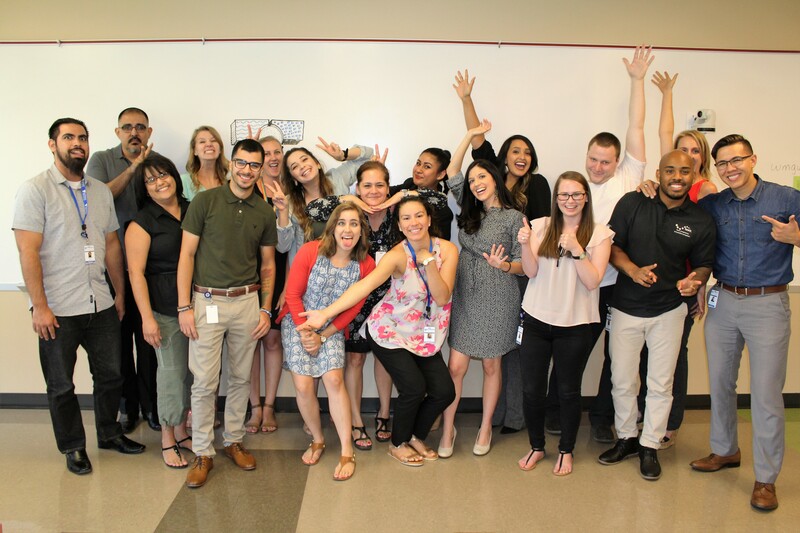 Touchstone’s Drug Education and Prevention grant targets youth (ages 10-19) and adults caring for youth in the Southwest Phoenix Valley, which includes Avondale, Tolleson, and Goodyear. This program utilizes a multi-faceted approach to address youth substance use by incorporating substance use education for youth and caretakers (Rx 360), family-based substance use education (Families in Action), and community awareness (CARE Coalition & public awareness campaign). Increase caregiver and youth anti-drug use attitudes and perception of risk/harm of abusing alcohol and controlled substances. Increase public awareness of the risks/harm of youth alcohol, controlled drug use, and Rx drug misuse.